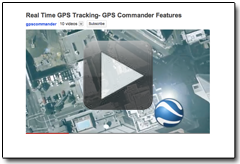 GPS Commander has added a new video to their collection on YouTube. 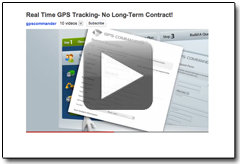 Existing videos include an overview of the different GPS tracking solutions offered, a description of the features within GPS Commander, step by step instructions on how to generate an instant quotation online, and the sign up process. Now that you know what we offer, what it can do for your business and how to sign up, it’s time to see it in action. Our promotional video takes all of the key features within our system and shows just how simple yet capable it is. 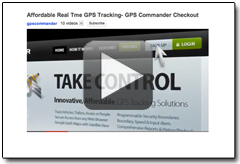 The GPS Commander Web Portal is fully accessible from any web browser and is completely secure. GPS Commander is integrated with Google Maps which provides our clients with the most up to date accurate mapping data. It also means access to features like Street View™ and Live Traffic Updates. View full trip history for up to an ? ?entire year?? with GPS Commander’s historical playback feature. GPS positions are chronologically ordered for simplicity and can be individually selected for analysis. An entire historical trip can be exported to google earth or can be viewed in-screen. 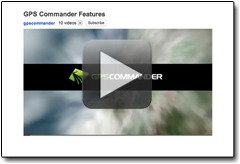 GPS Commander’s reporting function is highly customizable. Choose from several different reports to keep you informed of your drivers’, vehicles’ or assets’ activity. Reports can be sent routinely via e-mail and exported to formats like Excel and PDF. 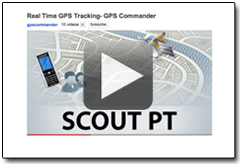 GPS Commander has patented geofencing technology, which allows you to form geographical boundaries. Create custom shapes or follow a specific route. Alerts can be configured to notify you when a boundary is breached, or when a specific speed has been reached. Our powerful geofence editor allows you to create, edit or delete geofences directly from the tracking screen.